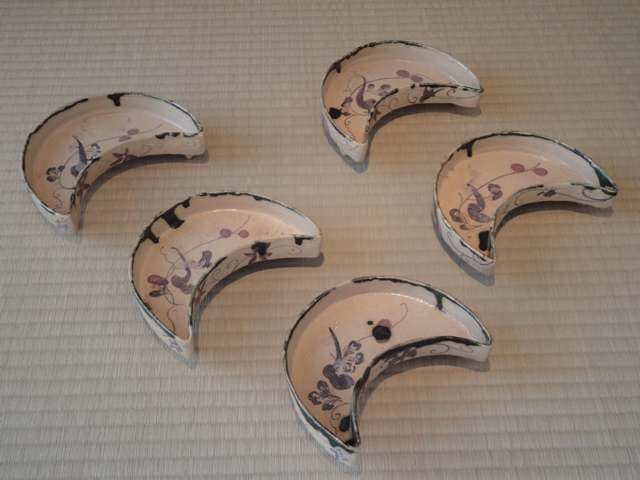 Today I would like to introduce you a set of five Oribe type wares in the shape of the moon. application of red for the fruits gives a very elegant impression. 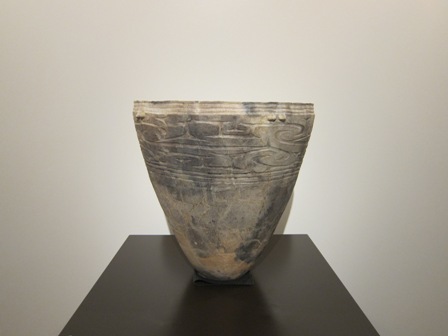 The final day of this preview exhibition will be February 12th. makes it have this special aura?! 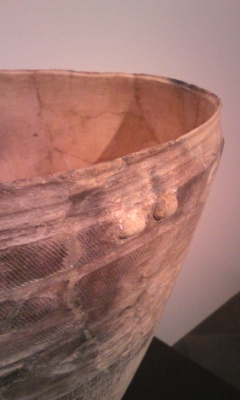 Please come by to see the vessel in real! Especially for this exhibition I hope that no earthquake will occur! The calligraphy of the hanging scroll is written by Ike Taiga (1723～1776). sake (Japanese rice wine). It is said that Ike Taiga also loved to drink sake. 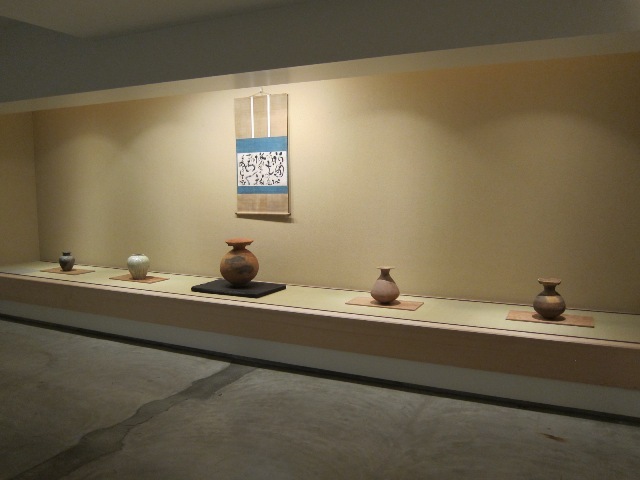 Please do not hesitate to come by the gallery and visit our current exhibition. Next time I would like to introduce to you some more pottery. long as she is here.